One of the smallest departments in France, the 2,200 – square – mile Vaucluse lies some 65 kms north of Marseille and 280 kilometers northwest of Nice. 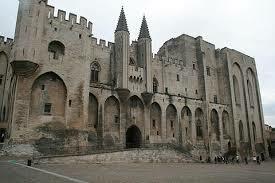 The main city is Avignon, and among the largest towns are Orange, Vaison -la-Romaine, Carpentras, Cavaillon and Apt. The Rhone River forms the department’s western boundary, the Durance River is southern. 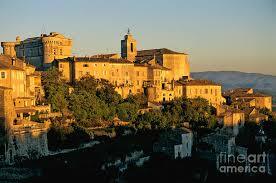 The beautiful Luberon covered extensively in the Vaucluse essay, lies 50 kms east of Avignon. The wine country of Gigondas and Chateauneuf-du-pape is in the northwest corner of the department, between Carpentras and Orange. Mount Ventoux is the most prominent geographical feature located in the north, the highest peak is at ( 6,233 feet) between the Alps and the Pyrenees. the easiest way to book a flight is at Orly airport, which is much closer to the city center. There are about more or less 26 flights on weekdays and about 16 on Saturday and 20 on Sunday. Charles-de-Gaulle international airport is served by Air France, Delta, United, American, Continental from various getaways. Be careful about making connections from international to domestic flights on Air France at Charles de Gaulle, give yourself a 2 to 3 hours before flying domestic. It is important to remember because you don’t want to miss your connection, have a coffee and read the newspaper because you do not want to be stressed out trying to reach your connection flight. You can also fly from Paris to Avignon, but only from Orly. There are far fewer flights on this route; three to four on weekdays , maybe one Saturday and two on Sunday ( approximately). But like the TGV you will land on the doorstep of the Vaucluse or right in Avignon. Another idea is to fly from Paris to Nice. Delta in conjunction with Air France, flies this route nonstop from New York’s JFK. Flying will be approximately eight hours. There is a drawback, the drive from Nice to the Vaucluse takes almost three hours. Again a good way to reach the Vaucluse from Paris by train , take the TGV to Avignon ( 3 hours and 20 minutes) and rent a car at the station. Telephone numbers. The country code for France is 33, the area code for the Vaucluse is 04. Omit the zero when dialing from abroad. Best time to visit : April through June, September and October. Closest major Airports: Avignon, Marseille and Nice. Airport car rentals: The major companies have offices at all three airports. Remember that shops frequently close from noon to 3 pm on weekdays and at noon on Saturday. 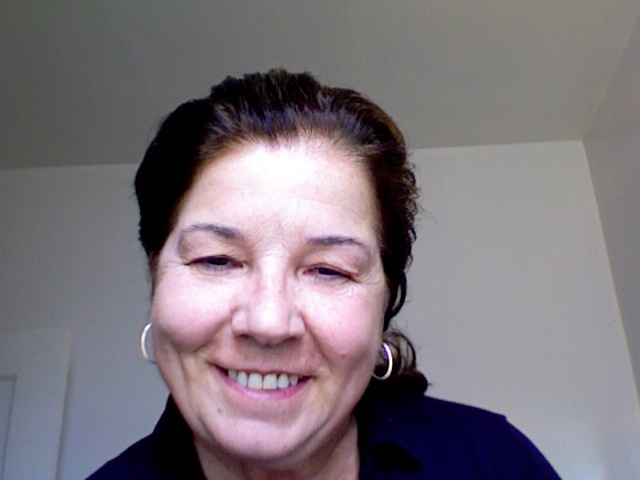 Luxury Travel Consultant2 invites you to a memorable week in Provence. Some trips ideas of a perfect tour with friends, family or joining a group. Thanksgiving in Provence at a Bastide in Eygalieres. No plans for your thanksgiving holidays ? 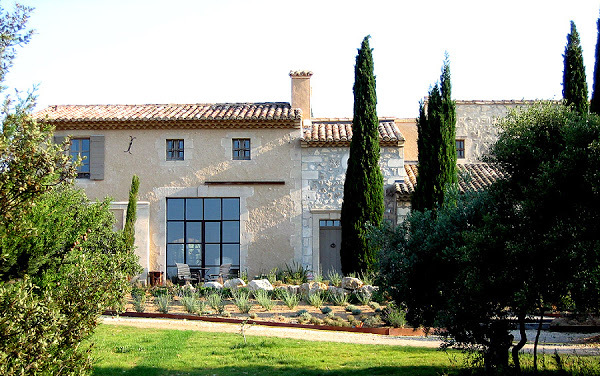 We have you covered and would like to invite you to join us in Provence. 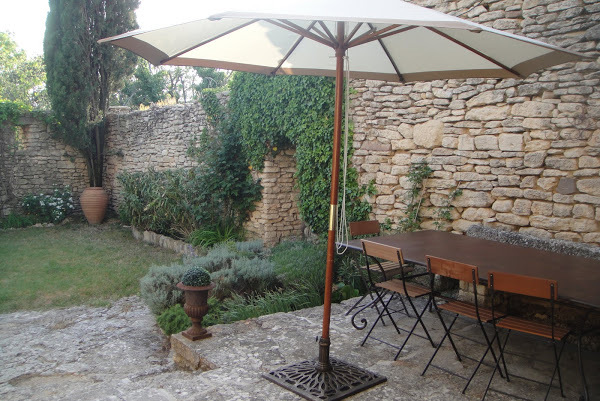 This beautiful Bastide is located near St Remy de Provence, famous worldwide, ever since Van Gogh depicted it. St-Remy fountains ( one name after Nostradamus, the very well known astrologer and a local), its boulevards lined with plane trees and its winding alleyways. 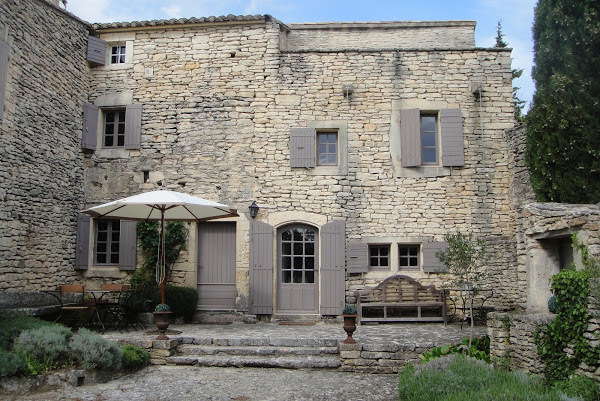 This beautiful Bastide has a view of the hilltop village of Eygalieres, lavender and a trickling fountain. 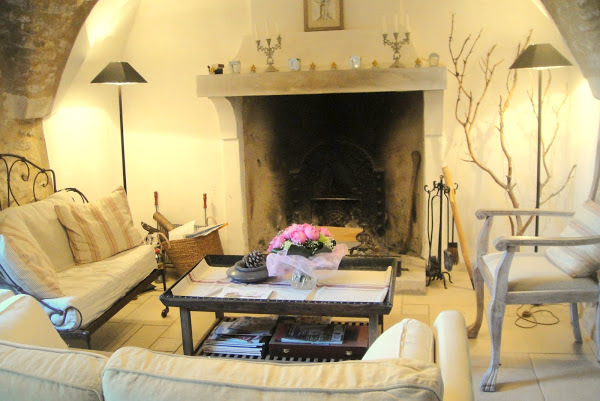 Just a few minutes away from St Remy and Les Baux de Provence, this Bastide is a true find where you will encounter the best in location as well as the luxury and comfort of a convivial yet prestigious Mas. It is a superb location for a group but you will find enough privacy as it boasts large terraces both around the pool and the side of the house overlooking the hill of the Alpilles. The bedrooms offer the privacy of a boutique inn while the communal areas , kitchen , pool and terraces draw guests in, making them feel at home. 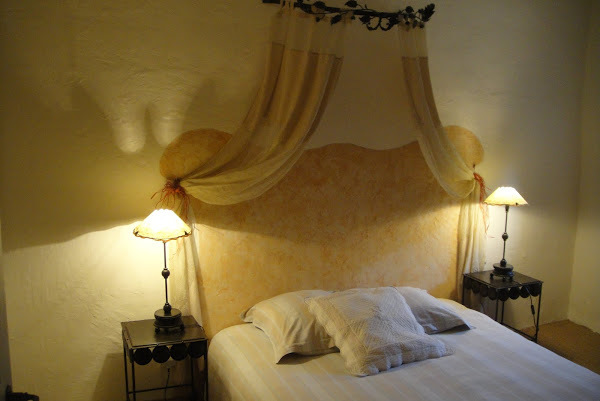 This beautiful Bastide is an unforgettable way to visit Provence. 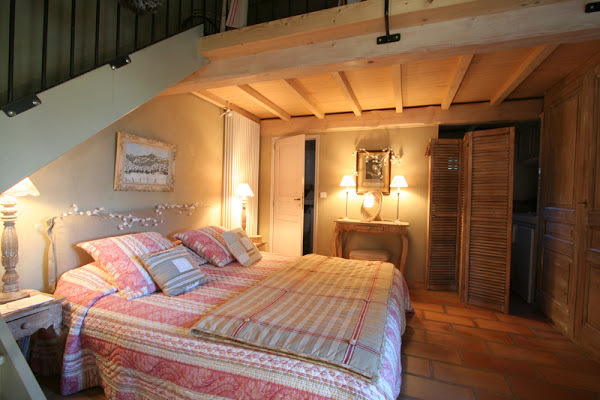 We invite you to a perfect week in Provence at a Bastide in Eygalieres. Villa Accommodation ( double occupancy) is $ 3, 840 pp ( All inclusive) & ( single occupancy) $ 350 extra added. Local private chef ( Continental Breakfast, Lunch , Dinner & 4 bottles of wine included for dinner). Wine tasting and a lunch will be served. AIR FARE IS NOT INCLUDED! 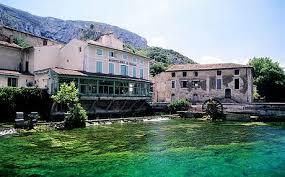 This coming Spring ( April 25, 2015 – May 2, 2015) we will be going to Provence and explore the flea markets as well as do some shopping of our own. 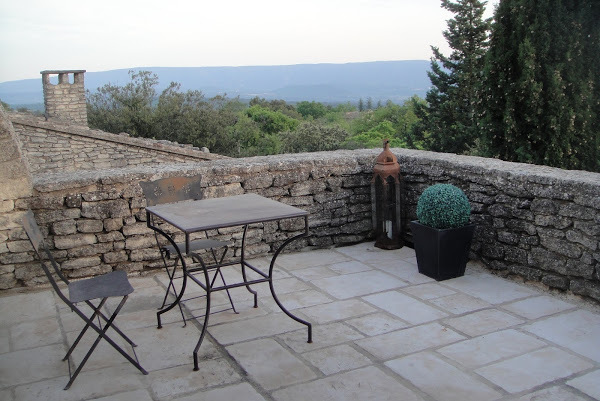 If you want to win a trip we ask two of our guests to get together 5 friends and you will spend one week in Gordes, Luberon free of charge ( air fare not included!). 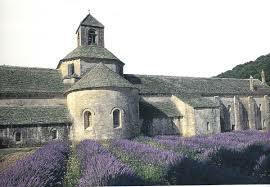 The tour will take place in a beautiful Bastide ( Farmhouse) in Gordes, Luberon. 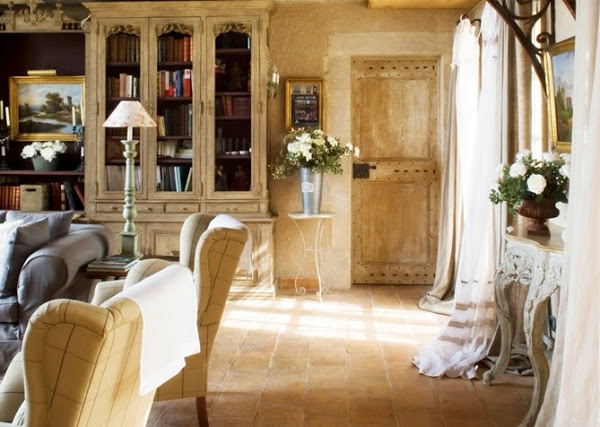 The home is a familial, traditional farmhouse, located in a quiet hamlet in the countryside surrounding the well known village of Gordes. The beautiful home is extremely comfortable and as you enter the house you will enjoy two very cozy sitting rooms on either side, one with a fireplace where you can read or relax and the other one where you can watch TV and relax as well. The kitchen opens onto a back dining terrace where meals will take place on warm & sunny days. You will also enjoy the heated pool and a great garden. 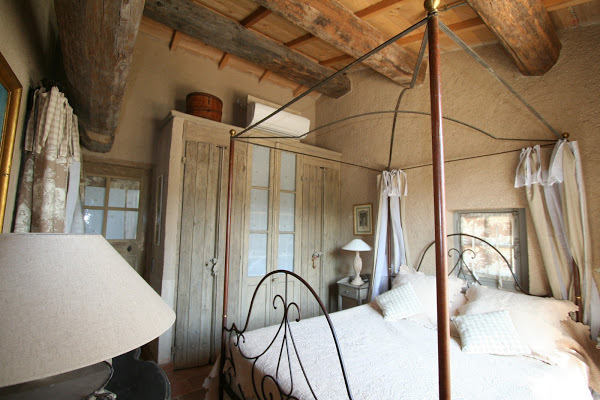 This beautiful Mas offers a quiet and natural environment near all of the most significant attractions of the Luberon. 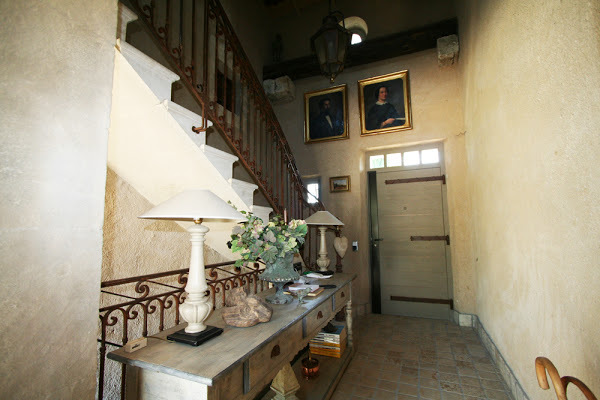 This Bastide will be your home for 8 days and 7 nights and accommodates 12 guests very comfortably. 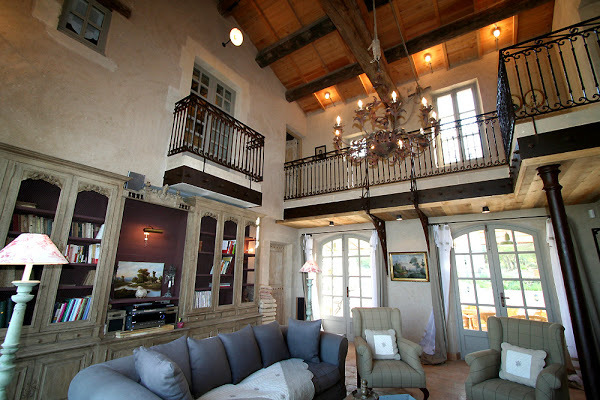 Go to our page on http://www.luxurytravelconsultant2.com, Shopping flea markets of Provence and book your trip by March 28, 2015. $ 3,731 per guest. Local / Private chef ( Breakfast, lunch & dinner included ) as well as 3 bottles of wine for dinner. 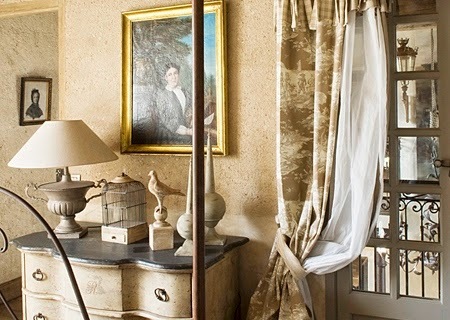 Visiting and shopping the flea markets of Provence.